This school menu board is really elegance personified ! 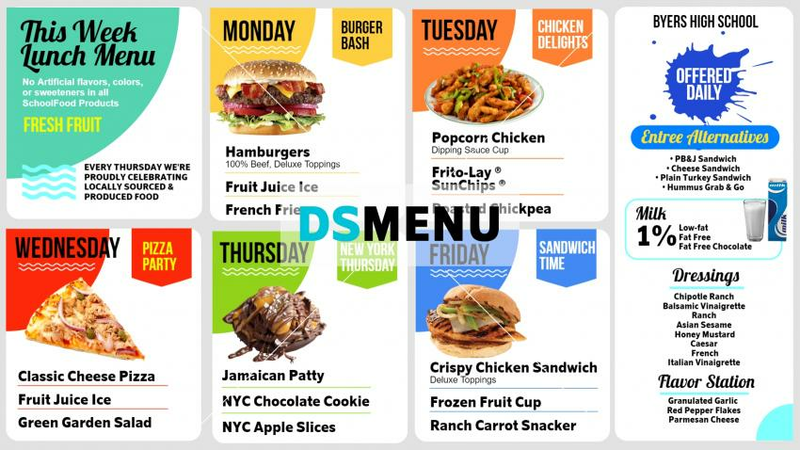 The classy white background with square frames to delineate the menu on each weekday, presents a well-planned and structured menu board. The multi-color graphics add to the elegance. On a digital platform the screen can be used to display relevant information, entertainment and felicitations. A great one this !